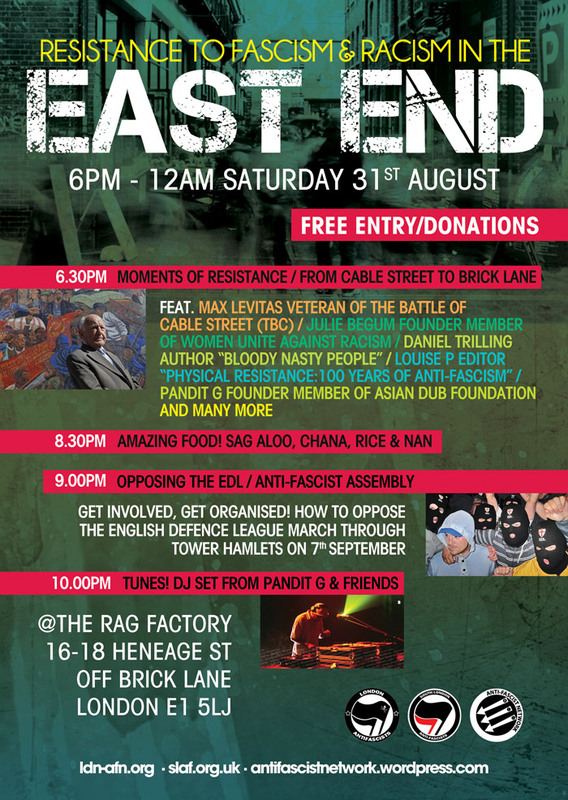 Updated leaflet hitting the streets! 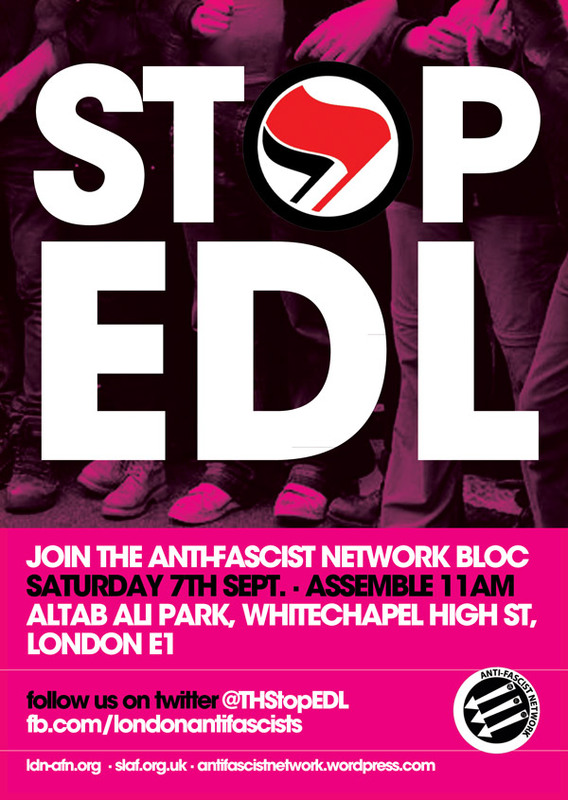 Portsmouth EDL has announced it’s intention to march in the city on Saturday 17th August. 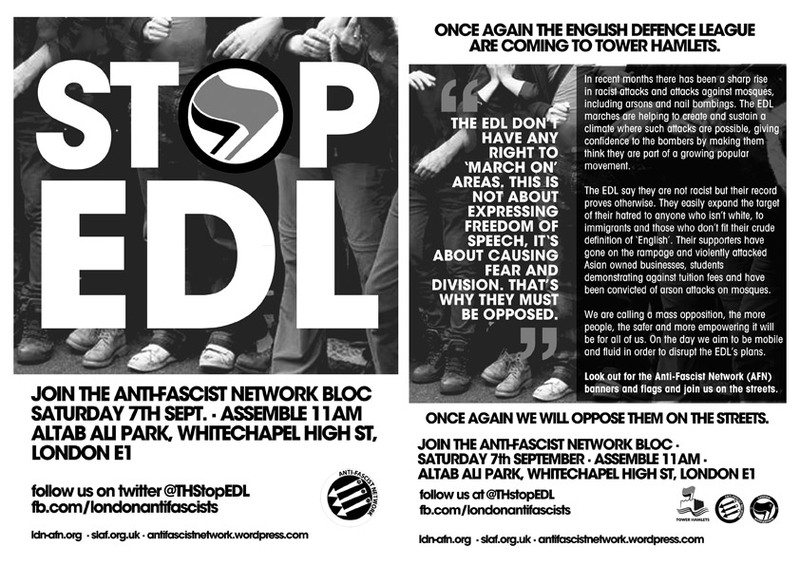 ONCE AGAIN THE ENGLISH DEFENCE LEAGUE ( EDL ) ARE INTENDING ON MARCHING THROUGH TOWER HAMLETS. 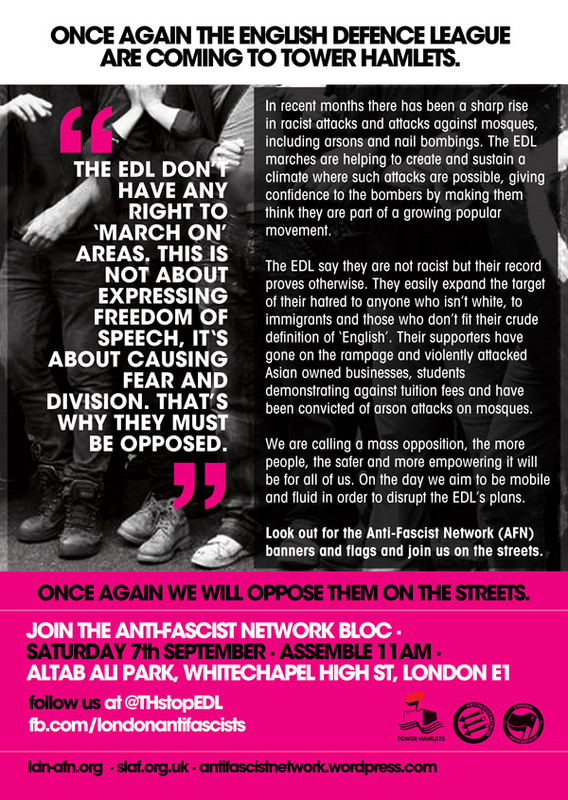 ONCE AGAIN WE WILL OPPOSE THEM ON THE STREETS. 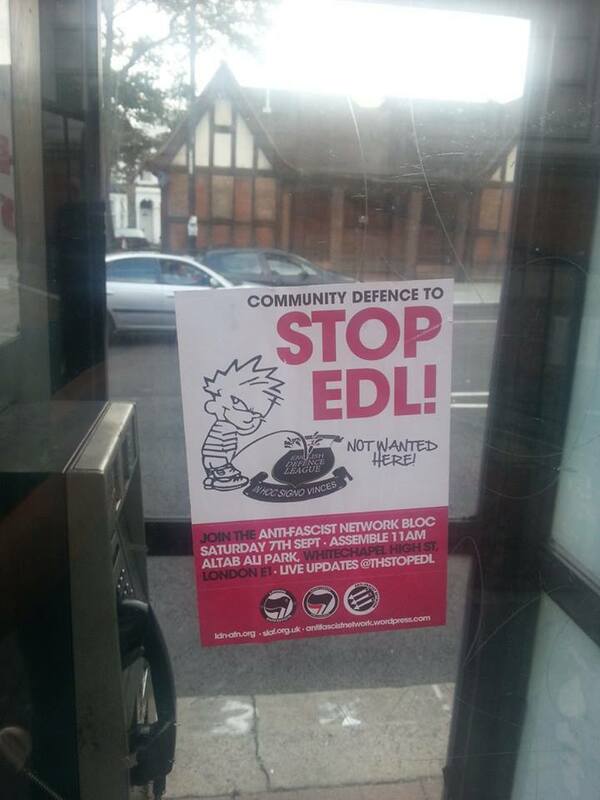 Before the killing of British Army solider Lee Rigby in Woolwich, the EDL were a spent force, with the organisation losing its momentum. 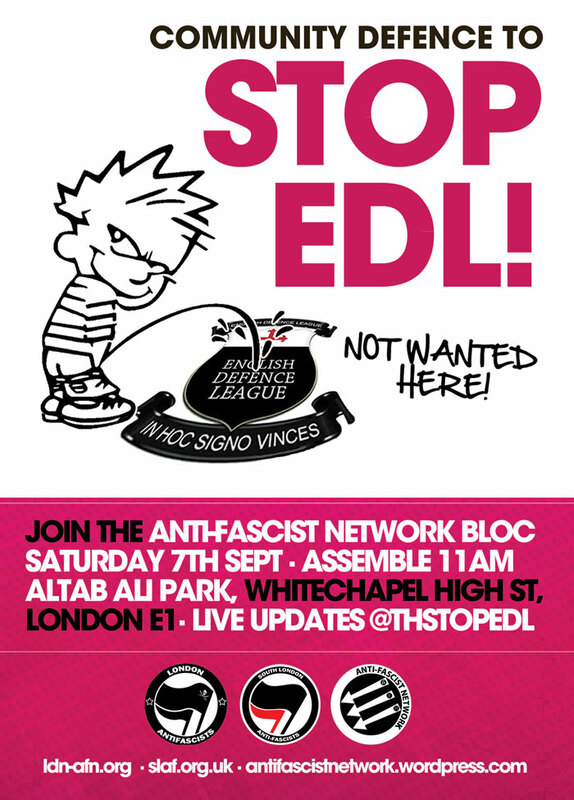 After the killing, the EDL has grown, exploiting public outrage to swell their demonstrations.